As a homeowner, you want to make sure that your garage door lasts as long as possible, that it continues to operate properly, and that it doesn’t present any safety issues. The key to achieving those goals is to ensure that you provide garage door maintenance and repairs on the right schedule. Of course, there’s a good chance that you’re not entirely sure what sort of maintenance a garage door might need, or how to handle some of the repair-related issues that you might encounter. In this guide, we’ll walk you through some of the most common considerations with residential garage door maintenance and repairs. Your garage door is technically a moving object. As such, it’s subject to vibrations that can create wear and tear. Every year, you should give the door and its hardware a quick tune-up. This will help ensure that the door operates properly, and will eliminate unwanted noise, all while providing safe operation. One of the first things to do in your tune-up is to check the hardware on the door itself. Roller/Hinge Brackets: You’ll find two bolts on each roller/hinge bracket. Use a socket and ratchet to make sure they are tight and secure. If you notice any missing bolts, replace them with the appropriate size. If you notice any damage to the brackets, hinges, or mounting location on the door, call a professional repair company. Roller Wheels: The rollers on your garage door should actually turn, and they should do so smoothly. They should never slide in the track. Check the rollers for signs of wear. 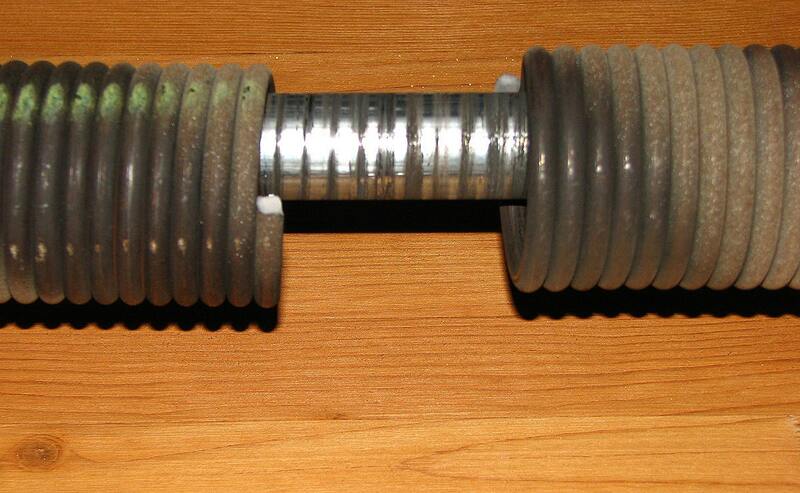 Metal rollers will need annual lubrication, but nylon rollers will need to be replaced when they show signs of wear. Lift Cable: At the bottom roller bracket, you’ll find the connection point for the lift cable. Check it very carefully for signs of wear, which can include frayed or broken cable strands. Any sign of undue wear should be cause for concern. Note that replacing this cable is not something you should do – call a professional. Springs: Your garage door uses springs as a counterbalance against the weight of the door. They’re made of metal, so they are durable, but they will need some TLC. A little WD-40 will go a long way toward protecting them. Chain: Modern garage doors use a rubber belt, but older systems used chains and chain/belt combinations. If you have a metal chain or screw on the opener, you’ll need to use white lithium grease to lubricate it once per year. Weather Seal: You should check the weather seal at the bottom of the garage door every year. This should remain flexible so that it forms a tight seal against the cement. When it begins to become brittle, it should be replaced. Another aspect of garage door maintenance is to inspect the door itself. 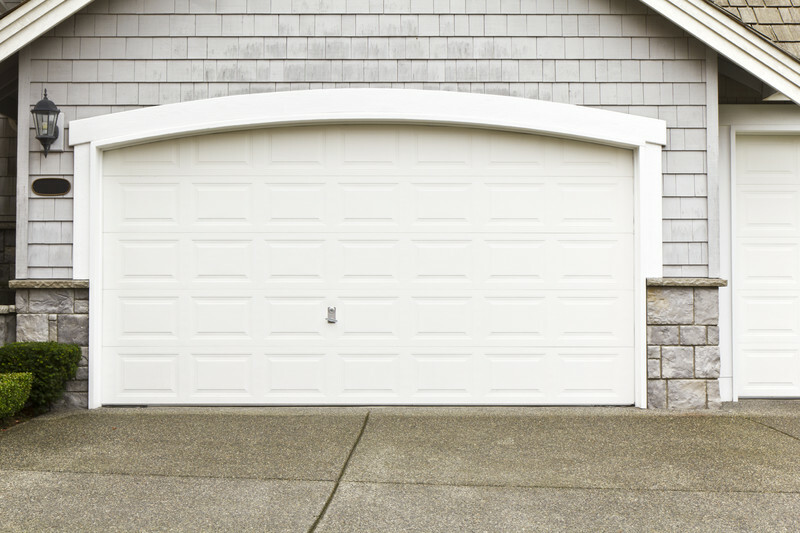 All garage doors are exposed to the elements to some extent, and will suffer from wear and tear as a result. Check the following elements to ensure that your door remains in good condition. Paint: Most garage doors are painted. Over time, that paint can begin to age and deteriorate. In some cases, it may come off in flakes. In others, it could begin to peel away in large swatches. A lot depends on the door material and the paint type. Metal doors are sometimes subject to peeling, while wood doors are more likely to experience flaking. If you notice signs of paint wear, it’s time to repaint the door. Realize that this is more than just cosmetic – the paint is the first (and often only) layer of defense for the door’s construction material against weather-related damage. Solidity: As your garage door ages, it will become less and less sturdy. This shows in a loss of solidity. For instance, a wooden garage door that is not properly maintained may begin to show cracks, and raised panels may begin to detach from the rest of the door. Metal garage doors may experience deterioration between the door panels and with the hinges. Check the solidity of the door and tighten any loose bolts and nuts, as mentioned in the previous section. Note that this may only be able to remedy the situation to a slight extent. Very old or deteriorated garage doors should be replaced. 1. Turn off the opener if you have one, and pull the release cable to disconnect it from the door. 2. Manually lower the garage door to the halfway point. 3. Inspect the door – does it stay in that position without any support? If so, it is properly balanced. If not, you need repairs – it could be an issue of too much tension on the springs, or too little tension on the springs. Never adjust spring tension on your own. In addition to the door, you need to make sure that both the auto reverse feature and the photo-eye system are working properly. Auto Reverse: Place a 2×4 or similar object between the door and the ground, and attempt to close the door with the opener. If the door immediately retracts when contacting the obstacle, the auto reverse system is working. Photo-Eye: To test the photo-eye system, open the door fully, and then begin closing it. While it is still high, wave your hand to break the beam between the two photo-electric sensors. If the door reverses, the system is working properly. In the end, garage door maintenance and repairs can largely be handled on your own. However, anything in-depth needs to be taken care of by a professional garage door company. The springs and cables on your door are under immense tension, a single misstep could have deadly consequences. Always work with a professional for anything beyond basic maintenance.